Amazon has released new machine learning tools with a wide range of applications for the healthcare space. The new Amazon Elastic Inference service harnesses a scalable GPU model, enabling customers to choose the amount of computing power they need with the option to scale up or down as demands dictate. GPUs provide a tremendous surge in machine learning power for massive datasets such medical imaging. This system provides cost-effective computing power to serve predictions to medical researchers at a scalable level. Meanwhile, new additions to Amazon Sagemaker, a machine learning framework hosted on AWS, have healthcare applications as well. SageMaker Ground Truth uses active learning and can be “trained” in real time to perform data labelling and processing, such image and text classification, or object detection. Labeling a dataset of millions of documents is a resource intensive task that often stands in the way of allowing machine learning to serve predictions. SageMaker Neo optimizes machine learning instances during the training phase, allowing health organizations to wring maximum efficiency out of whatever hardware architecture they might be using for their prediction environment. And SageMaker RL is a reinforced learning program which can be used where “building a prior dataset would either be infeasible or prohibitively expensive,” according to Amazon’s blog post. Reinforced Learning uses continuous feedback to constantly improve problem solving and make “increasingly relevant actions,” officials said. As data proliferates in healthcare organizations, the need to quickly and efficiently process it is vital both to improving patient outcomes as well as developing revenue streams from the information captured. Advances in computing technology, especially GPUs, have allowed machine learning to grow by leaps and bounds. However, the physical architecture that enables these services can be prohibitively expensive for a healthcare system. Amazon’s cloud-based offerings enable data workers to harness the power of the advanced AI in a scalable and cost-effective environment. “With petabytes of unstructured data being generated in hospital systems every day, our goal is to take this information and convert it into useful insights that can be efficiently accessed and understood,” Anish Kejariwal, director of software engineering for Roche Diagnostics Information Solutions, said in an Amazon blog post. Amazon’s cloud computing and machine learning offerings have been making increased inroads into the healthcare space. It has developed healthcare-specific tools to analyze patient records and a more and more of its portfolio is HIPAA-eligible as it continues to home in on healthcare. Machine learning is being deployed throughout the industry and in some cases is dramatically reducing the amount of time spent by clinicians. 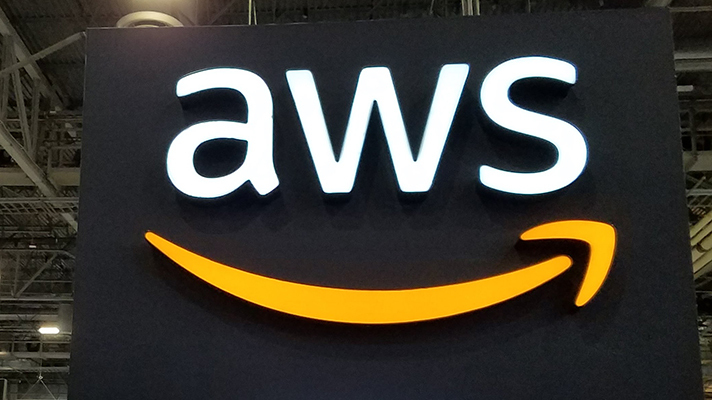 Earlier this week, AWS also unveiled Amazon Comprehend Medical, new HIPAA-eligible machine learning tool, enabling developers to process unstructured medical text and spot specific data such as diagnosis, treatments, dosages, symptoms and more. So much of today’s healthcare data is unstructured medical text – written notes and audio transcripts, prescriptions, pathology and radiology reports – exists as hard-to-mine unstructured data. With the new Comprehend Medical tool, “developers only need to provide unstructured medical text,” said Amazon in a blog post. “The service will ‘read’ the text and then identify and return the medical information contained within it. With no machine learning experience required – there are no models to train – and the ability to be integrated with existing services via API, the tool could be a valuable resource for clinical decision support, revenue cycle management, pop health, clinical trials and more, Amazon said. “The process of developing clinical trials and connecting them with the right patients requires research teams to sift through and label mountains of unstructured medical record data,” Matthew Trunnell, CIO at Fred Hutchinson Cancer Research Center, said in the blog post. Faced with such high cost, providers and payers alike have increasingly looked to tech for answers. Stakeholders across the industry — from insurers and providers to EHR companies — are engaging directly with Uber and Lyft following the companies’ high-profile entrances into the market. Trouble getting to a provider, however, is just one of many factors fueling missed appointments. Other issues patients cite include cost of care, socioeconomic restraints, long wait times and scheduling conflicts. Despite big promises from tech companies, an app and a platform can’t solve all of healthcare’s woes. “How much of this is, they’re really not that into you?” Krisda Chaiyachati, lead author of Penn Medicine’s early 2018 study of Lyft’s impact on missed appointments among Medicaid patients, told Healthcare Dive. “And how much is a true need and a gap in getting there? That’s the question a slew of organizations are trying to figure out, from marquee ridesharing companies and non-emergency medical transportation (NEMT) brokers to telemedicine companies and mobile health clinics. The ridehailing industry’s promises won some support in findings this week from Lyft and tech company Hitch Health. The companies launched a pilot at Hennepin Healthcare’s internal medicine clinic in Minneapolis last year targeting patients who have missed appointments in the past. After a year, Lyft and Hitch found their pilot reduced no-shows by 27%. Those results should put the wind back into the sails of industry rideshare hopefuls that may have been disheartened by the results of a Penn Medicine study published earlier this year. That study, which looked at how complementary rideshare impacted missed appointment rates among Medicaid patients in west Philadelphia, demanded industry attention for its findings: Chaiyachati and his team found that the service “really didn’t make a dent” in no-show rates. Transportation is the third-most frequently identified reason for missed appointments among older adults by American Hospital Association’s count. The access gap has created a market worth over $3 billion, according to an estimate from the Transit Cooperative Research Program. According to the Journal of the American Medical Association (JAMA), CMS was accountable for pumping at least $2.7 billion into that market by way of Medicaid NEMT benefits as of 2016. While these benefits have been available for Medicaid enrollees since the program’s inception in 1965, ridesharing’s introduction to the industry has breathed new life into the sector. “I’ve had so many hospital [executives] grab me by the shoulders and say, ‘You don’t understand how big of a problem missed appointments are for our facility,'” Mark Switaj, founder of medical transportation platform RoundTrip, told Healthcare Dive. Switaj does have somewhat of an idea of how big the problem is. Before launching RoundTrip, an all-in-one transportation coordination platform, he worked for Envision Physician Services in Horsham, Pennsylvania, and medical transportation giant American Medical Response. The founder told Healthcare Dive his “firsthand look how patient transportation services are designed” helped him understand how to help modernize the industry. RoundTrip isn’t a transportation company itself. Rather, it’s a “single touch-point” that connects providers, payers and existing transportation services. The platform has a built-in appointment reminder system and is HIPAA-compliant. The company has forged partnerships with Lyft, Greater Richmond Transit Company, advanced NEMT services and a number of smaller, rural transportation companies. Hospital systems, insurance networks and patient coordinators cover the cost of the trip for most riders, 80% of whom Switaj said are Medicaid enrollees. RoundTrip, like Lyft and Uber, also stands to gain from the growing Medicare Advantage market and the “fairly revolutionary” possibility of CMS allowing managed Medicare plans to offer a transportation benefit. Cigna’s Medicare Advantage arm partnered with Lyft in May 2017 to provide nonemergency rides to members in a handful of states. Between May and November of last year, Lyft gave more than 14,500 nonemergency rides to Cigna-Health Spring members. The payer said 92% of members who used the service have made it their preferred means of transportation. Despite Penn’s recent research, a number of studies have found ridesharing is in fact helping cut transportation costs in the industry. A 2016 JAMA study, for example, showed that a rideshare partnership between Lyft and Anthem subsidiary CareMore reduced transportation costs by about 30% per ride, or $10 per patient per ride, while hiking patient satisfaction by 80%. Another paper, from researchers at the University of Kansas in 2017, found ambulance use decreased by an average of 7% between 2013 and 2015 in cities where Uber and Lyft were active. Chaiyachati said it may be that high and mid-income patients are using ridesharing services more than low-income patients who typically face more drastic transportation barriers. Automated reminders may not be the most effective way to reduce no-show rates, but they have been found to have at least some impact. A 2010 JAMA study found that 23% of patients who did not get a phone call reminding them of an appointment did not show. Those who got personalized reminders had a 13% no-show rate, while patients who got automated messages missed 17.3% of appointments. SMS reminders are a method the industry is already using widely. A recent MGMA Stat poll shows that the majority of healthcare organizations (68%) are already using text messages to send appointment reminders to patients. The 24% of organizations that said they don’t use a text message service either cited concern with their current technology or physicians’ reluctance to text. It’s worth noting, Chaiyachati said, that missed appointment rates vary depending on the type of appointment. Research from CrossChx demonstrates this well: Mental health, for example, experiences the highest no-show rate at 37%, while obstetricians and primary care physicians shoulder 30% and 18%, respectively. Further variance can be found in a retrospective study published by BMC Health Services Research. According to the study, the average no-show rate for teaching hospitals is 25%, while the rates for Department of Veterans Affairs hospitals of various sizes ranged from 9% to 16%. BMC’s research shows that appointment reminders had a very minimal effect on reducing missed appointments across facilities, only dropping half a percent after a centralized phone reminder was implemented. Slightly better results were found recently by the VA, which launched a new SMS service in the spring called VEText in hopes of reducing missed appointments among veterans. According to VA, nearly 9 million appointments with VA providers are missed each year. Since the program launched, the national no-show rate has declined from 13.7% to 12.2%. While the impact may seem minimal, as of July 9, more than 3.24 million patients have received VEText messages and canceled 319,504 appointments. Perhaps a bigger problem than transportation and forgetfulness is distrust in pockets of the low-income population of the healthcare industry. In a June response to Penn’s study, authors Katherine Rediger, Michael Albert and D.R. Bailey Miles offered criticism of complementary NEMT and text-message reminders as a solution to inaccessibility. Advisory Board analyst Clare Wirth cited some troubling statistics during a recent conference on increasing access to care: While 25% of low-income patients miss or reschedule appointments due to a lack of transportation, a staggering 53% agreed that U.S. doctors cannot be trusted. The figure is “especially jarring,” Wirth said, and has a lot to do with why low-income patients in particular are missing appointments. Chaiyachati agreed, saying there is a “trust factor” that needs to be addressed by the industry. One way to bolster trust in communities while reducing missed appointment rates may be mobile health clinics. If providers can’t get low-income patients to come to appointments, it may be worth the investment to go to them. CalvertHealth Medical Center’s mobile health clinic, for example, delivers care to the 4% of county residents with no access to transportation and those who cannot visit hospitals or doctors regularly for primary and preventive care. The vehicle is 40 feet long and boasts two fully-equipped exam rooms, a waiting room, a classroom and a wheelchair lift. The clinic schedules regular visits with community and faith-based organizations in three of Calvert’s most vulnerable areas, where it largely does screenings. Within the first six weeks of its launch, the clinic provided services to 330 residents. In another example, Harvard Medical School’s mobile health clinic in Boston, which provides screenings to patients without asking them to set up appointments, helped 12% of its community catch previously-undiagnosed illnesses on the spot. Not only did the clinic get people the care they need, but it also saved $21 for every dollar invested. And perhaps most importantly, it established trust. Improving access to care and reducing no-show rates, Chaiyachati said, will depend on the individual. When hospitals purchase physician groups in already highly concentrated markets in California, marketplace premiums were likely to rise 12%, according to a new Health Affairs study that measured premium data from 2014 to 2017. Prices were likely to rise for outpatient visits as private practices were acquired or vertically integrated with hospital systems. Researchers found in these instances prices were likely to rise 5% for primary care practices and 9% for specialty services, according to data analyzed from between 2011 and 2016. Hospital acquisition of private practices dramatically increased in a six-year span. In 2010, the percentage of physicians in practices owned by hospitals was 25%, but that figured spiked to more than 40% by 2016. Specialty practices owned by hospitals increased from 20% to 54% over that same period. Payer monopolies have already been found to result in higher ACA premiums. Authors of the new study suggest their findings should serve as a warning to regulators in states across the country. Red flags should be raised when hospitals continue to buy up private practices because the effect on premiums became larger as vertical integration increased. However, these types of acquisitions tend to fly under the radar of state regulators and don’t draw as much attention as horizontal mergers, or when a hospital buys another competing hospital. The reason purchases of smaller doctors’ groups don’t get much attention is because they tend to be smaller acquisitions over time that eventually add up, study author Richard Scheffler of the University of California at Berkeley told HealthCare Dive. Nevertheless, each state regulator should assess its individual healthcare markets along with the level of concentration and increased attention should be placed on these types of acquisitions, he said. “When you’re highly concentrated even a small purchase can have a huge affect,” Scheffler said. Another recent report bolsters the findings of increased hospital-owned physician practices. Avalere found a 100% increase in such practices between July 2012 and July 2016, when there were 72,000 physician offices employed by hospitals. This latest study is particularly interesting in light of the legal fight between California’s attorney general and health care giant Sutter Health over anti-competitive practices. Healthcare prices in northern California are far higher than the rest of the state and that’s due to Sutter’s market concentration, the lawsuit alleges. As M&A continues its steady pace in the industry, federal and state regulators are turning a more careful eye on the potential effects of oversaturated markets. A separate Health Affairs report from earlier this year found that highly-concentrated markets in northern California caused higher prices for hospital and physician searches and for Affordable Care Act premiums. Some providers aren’t properly referring patients, which could lead to inappropriate and out-of-network care, according to a new survey by Kyruus. The online survey of 200 primary care and specialty physicians found that 34% of out-of-network referrals could be avoided if providers had more information on other doctors’ specialties and areas of focus. Kyruus found that 77% of providers recognized the importance of keeping patients in-network for care coordination, but 79% admitted that they refer patients out-of-network. Kyruus said the survey shows that improving referral processes can help health systems improve patient retention. A leading theme in the report is that providers don’t have the information needed to make sure patients are getting clinically appropriate, in-network care. Nearly half of doctors surveyed said they have trouble determining who is in-network. The doctors estimated they could avoid one-third of out-of-network referrals if they had more information about in-network providers. Another problem that can hurt patient retention is that 42% of patients leave a provider’s office without a necessary referral appointment booked. A whopping 72% of providers acknowledge that they or their staff usually refer to the same provider for a specialty rather than figuring out whether there’s another provider with more specific expertise or who has an earlier appointment. 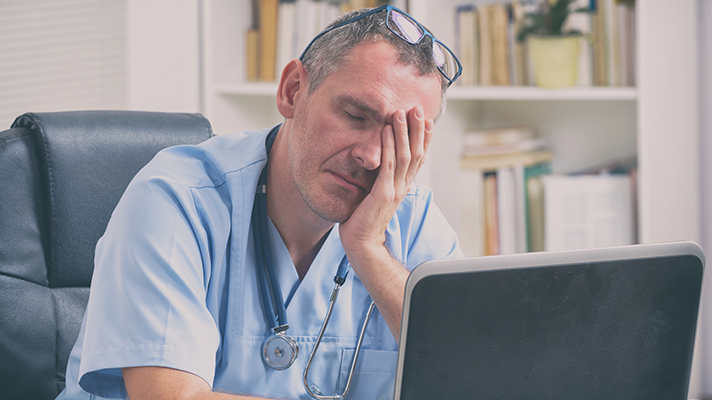 On the flip side, 42% of providers said they’re not practicing at the top of their license most or all of the time, which the report said can hurt physician satisfaction. Erin Jospe, chief medical officer at Kyruus, said knowing who’s in-network and their specialties is a long-held challenge for physicians. “This new research reaffirms the widespread need to empower physicians with better insights and capabilities, so they can make the best referrals for their patients and help guide their care more effectively,” she said in a press release. Beyond care coordination and provider satisfaction, the issue of out-of-network care goes to balance billing, also called surprise billing, and rising out-of-pocket costs. A recent Kaiser Family Foundation report found that nearly 20% of inpatient admissions in large employer health plans include a claim from an out-of-network provider. Those claims are especially problematic for patients getting outpatient mental health services. Rising out-of-pocket costs are causing Americans to delay healthcare. A recent Bankrate survey of 1,000 adults found that 22% said they or a close family member delayed necessary medical care because of the cost, and 77% said cost worries had led them to avoid care. Americans are far less concerned about the security of their personal health data than breaches of financial information, a new SCOUT Rare Insights survey shows. Just under half (49%) of adults said they are extremely or very concerned about security of lab results, diagnoses and other health information, compared with 69% who said they are extremely or very concerned about the safety of their financial data. The news comes as healthcare organizations continue to face regular cyber threats and data security concerns. As healthcare organizations amass more and more patient data and patients are pushed to engage with EHRs and patient portals, providers and payers will need to do more to make people aware of best practices and risks. A study by Accenture and the American Medical Association found that four out of five physicians have experienced a cybersecurity attack. More than half worried such attacks could undermine patient safety, and roughly three-fourths thought future attacks could disrupt their clinical practices and compromise patient records. In a recent Ponemon Institute survey, 62% of healthcare leaders said their organization experienced a cyberattack in the past year, and more than half said the event resulted in loss of patient data. Patient medical records and patient billing information were the top two targets of hackers. In February, Partners HealthCare notified 2,600 patients that their personal information may have been compromised when an unauthorized third party introduced malware into its computer system. Banner Health contacted 3.7 million people in August 2016 to reveal that a cyberattack may have exposed their personal data. He noted that banks are typically quick to alert customer when their financial information is stolen, whereas breaches of healthcare data often aren’t spotted for months or years. “We need to guard and monitor our health insurance cards and medical service statements as rigorously as we guard and monitor our credit cards and bank statements,” Siyahian said.